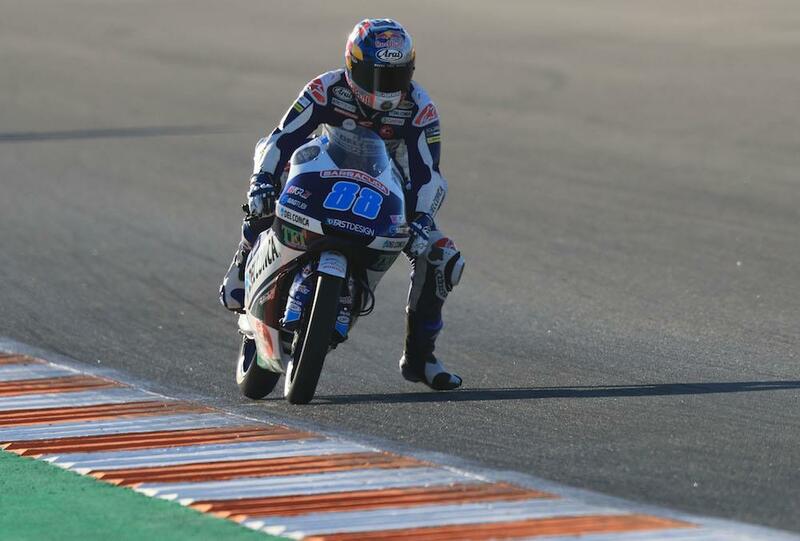 Jorge Martin notched up his ninth pole position of the year after an action-packed Moto3 qualifying at Circuit Ricardo Tormo in Valencia. The Spaniard broke the outright Moto3 lap record in FP3 with the first ever 1’38 lap, but would shatter his 1’38.989 with a time of 1’38.428 to take yet another pole position, almost half a second quicker than recently crowned champion Joan Mir. Martin will now be hoping he can turn this pole into his first victory of the year. Gabriel Rodrigo completes the front row while Tatsuki Suzuki achieved a career-best qualifying result to head up the second row from fourth. 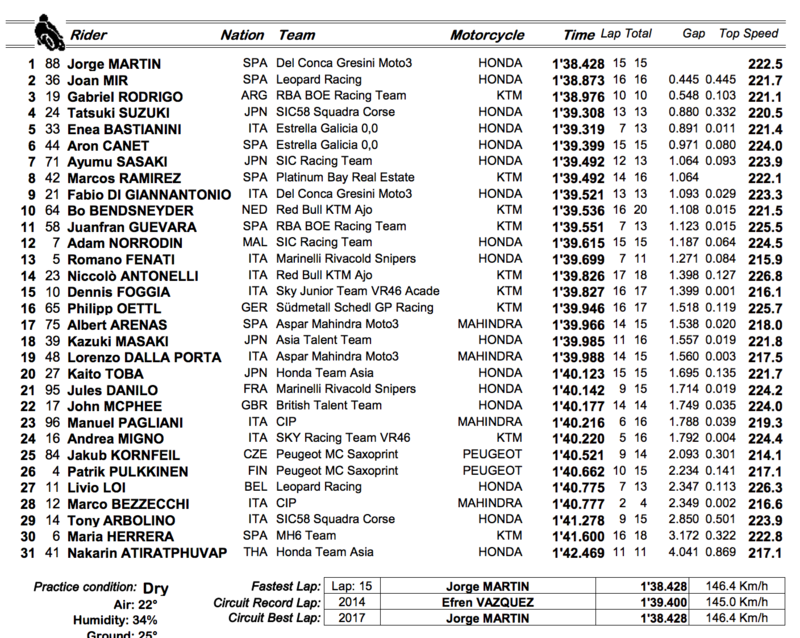 Enea Bastianini and Aron Canet complete the front row, ahead of Ayumu Sasaki and Marcos Ramirez. Fabio Di Giannantonio will start ninth while Bo Bensneyder rounds out the top ten. Britain’s John McPhee will start 22nd after returning to action after a heavy crash in the morning’s FP3. The Scot took quite a knock when he highsided at turn 12 but was cleared by the medical centre to continue.